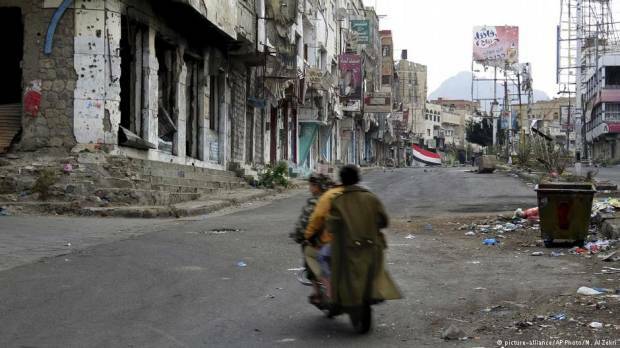 What began four years ago as a civil war in Yemen has now become a war of proxy and intervention, especially between the Middle Eastern powers Saudi Arabia and Iran. About 10,000 people have been killed so far. Half of Yemen’s 28 million inhabitants face famine. Thousands more people are trying to flee. Peace talks between the government and the Houthi rebels have repeatedly failed. A few hours before the start of peace talks in Stockholm on Thursday, Yemen’s government and the Houthi rebels once again outdid each other with demands and threats. How do you assess the role of arms manufacturers such as Germany’s Rheinmetall, which supply the warring parties with weapons?